Yes. This is a real question we received at a modular pastor training. To Westerners, the question initially strikes us as funny since the logic of the question is so foreign to our culture. But upon further reflection, the tragedy of the question strikes us. This question comes from a real pastor of a real church who has a very real wife. It isn’t a hypothetical to this pastor. To him, to his wife, and to any children that they have, it is a life-altering question. I don’t know this pastor’s definition of a “good pastors wife,” and I don’t know how he saw his own wife as falling short. But sadly, based on the worldview he inherited from his culture, he saw his only options as divorce or polygamy. He wasn’t thinking biblically, and he had put his calling as a pastor ahead of his calling as a husband and father. He needed to be taught that his family comes before his ministry. He needed to know that his faithfulness as a husband and father was one of the character traits that actually qualifies him to serve as a pastor (1 Tim 3:2-7), and that if he abandoned his wife in any way, then he would be disqualifying himself from the pastoral calling. When I reflect on this question, it does two things to me. First, it reminds me of why I am here. 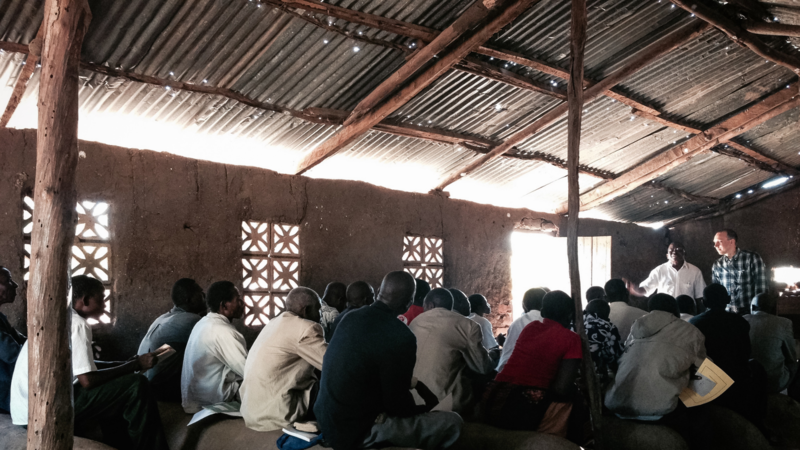 We train pastors because they need to learn how the Bible speaks to their lives and ministries. Without learning to read the Bible for themselves, they will (like all of us) default to what is normative in their culture. Second, it makes me cautious about my own life. In what areas of my life do I default to what’s normative in American culture? Where does the Bible need to speak to my life—to challenge and change me? On February 17-March 1, almost 200 pastors from across southern Malawi will be enjoying additional modular trainings like the one described above.